As an RN in the emergency room, Jonathan Bartels had seen his share of trauma and tragedy and he understood the toll it takes when grief and loss are unacknowledged and stifled. But one day, at the moment of a patient’s death following a failed resuscitation attempt, he received an inspiration to “Pause,” which would soon spread to hospitals around the world. He shares that story with us today. Learn more about The Medical Pause here. Learn about studies that have shown the positive benefits of death awareness and why we need more of it in the world. In this episode I share some recent studies that validate the fact that being aware of death has positive effects on behavior toward others. This is evidence that we need more classes, workshops, books, films, and discussion groups about death in order to promote health, peace, tolerance, and compassion in the world. Read the companion article on Thrive Global here. Remember you can still sign up for the online reading group A Year of Reading Dangerously by clicking here. Join us to read one book about death, dying and the afterlife each month during 2018! You can also get the Teaching Guidelines for a Death & Dying Class here if you are interested in teaching a class in your community or for college or high school students. In addition when you sign up for the guidelines you could become part of a work group during the month of March to create a death and dying class. Sign up for the guidelines! THANK YOU to all of you who help support this podcast with your donations on Patreon.com/eolu!! Helping behaviors increased when people were given subtle reminders of their mortality, such as being near a cemetery. These positive behaviors include compassion, tolerance, empathy and pacifism. In our world that is currently suffering with environmental degradation, polarization of society, violence, and unhealthy behaviors perhaps increased death awareness could hold some promise for our survival. 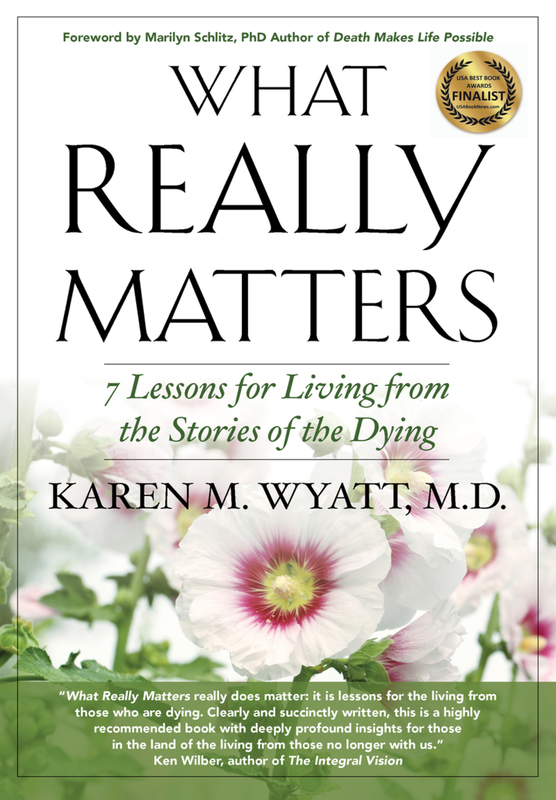 Join me in improving death awareness this year by reading books and teaching classes on death and dying! Until next week remember ….